After an incredibly strong SummerSlam this week's Raw had a lot to live up to. Expectations were high amongst WWE fans, and there were a number of questions that needed to be answered heading out of the pay-per-view and towards Night of Champions. Whilst it was impossible for the show live up to the hype, it was another strong showing from WWE's flagship show, and manage to set the wheels in motion for a number of smoking hot rivalries that will see us into the next pay-per-view and beyond. After Triple H turned on Daniel Bryan and gifted the WWE Championship to Randy Orton, there was one question on everyone's lips, why? We'd have to wait til the end of the show to here it from the WWE Cheif Operating Officer himself, but we did get a sneak preview, when Stephanie McMahon interupted Daniel Bryan before he could even get going. Stephanie certainly works a lot better as a heel, as she played the corporate women, saying Triple H's decisions were based on what was good for business, before calling Bryan a “B+” with perfect delivery that clearly struck a chords with the audience in attendance, as well as those at home. Bryan continued his string of strong promos, as he fought back against McMahon, saying he would have expected it from Vince McMahon or Stephanie, but not from Triple H, before delivering a stinger of his own, with the words “If you lie down with trash for long enough, you start to stink” in reference to Triple H's marriage to Stephanie. With Bryan saying that he wasn't afraid of being fired, because he'd simply go wrestle somewhere else, with shades of CM Punk's infamous Raw Roulette promo, Stephanie had Bryan forcibly removed from the building. I thought this was a strong segment, as it set up the show and allowed the words to play on the audiences mind for a further two and a half hours before Triple H would come out to the arena. With Randy Orton's Championship Coronation getting closer, there was a backstage segment featuring Stephanie McMahon and Raw General Manager Brad Maddox. With Brad Maddox coming to inform McMahon that Bryan had gotten back inside the building somehow. With McMahon looking non-plussed she headed into her father's office. I liked this little addition to the story, as it showed us that all the players were in place and made us question what Daniel Bryan had planned by getting back inside the building. It also for the first time showed that Vince McMahon was somehow involved with the whole thing, as many had suspected. Either way it set up nicely for the final segment of the show, especially with having no seen Orton, Triple H or Vince yet on the show. So finally after just under twenty four hours of waiting, we were about to find out why Triple H Pedigreed Daniel Bryan and handed the title to former rival Randy Orton. With both Vince and Stephanie in the ring, waiting for Triple H to come down the entrance way, with pretty much the entire WWE roster on the stage and new McMahon co-horts The Shield (more on that later) standing between them and the ring. Triple H went on to explain his actions, in a strong heel promo, ripping into Daniel Bryan and saying that the WWE fans deserved better than him as a WWE Champion. It was an interesting concept and one that played a proportion of the internet believing that the WWE sometimes believes it knows what the fans want, more than the fans. Triple H may be known for his long, rambling promos, and this was certainly a long promo, but it was spot on for me, in terms of pace, delivery and content, really getting under the skins of the fans. Then The Game brought out the new WWE Champion, The Viper, Randy Orton! This is where things began to get even more interesting. I have to say I have really missed heel Randy Orton, and like most WWE fans have been waiting for this moment for a long time, and Orton thanking Triple H for his WWE Championship is something I certainly never thought I would see. With Triple H calling out Daniel Bryan, in the most patronising way possible, getting the crowd to chant “Yes!” and playing Bryan's music to “Make Daniel feel at home”. With Triple H telling no one to touch Daniel Bryan, it was clear it was a trap and Bryan walked straight into an onslaught from The Shield. Bryan attempted to fight off United States Champion Dean Ambrose and Tag Team Champions Seth Rollins and Roman Reigns, and after seemingly taking out all three men, Bryan headed to the ring. Only to receive a thunderous spear from Reigns. After some more beating, that really made you feel for Bryan and build up the disdain for Triple H and the corporate machine. Triple H did however stop The Shield from Triple Powerbombing Bryan, allowing the Submission Specialist to get in the ring, continuing to patronise him ever step of the way. However, once Bryan got in the ring, Orton struck with an RKO. With The Orton, Vince, Triple H and Stephanie all raising each others arms to close the show, it was clear who had the upperhand and exactly where the power lay in WWE. Many have compared Bryan's role to the role Stone Cold Steve Austin had between 1997 and 1999, however I'd like to remind those people that in the past both Randy Orton and CM Punk have been described as the new Stone Cold, and both have managed to carve out their own path, I'm willing to see where this goes before calling it a remake of that storyline, and at that moment I think we have an interesting few months ahead. The CM Punk and Paul Heyman story continued, with Paul Heyman in the ring to deliver his thoughts on the situation, following Punk's match with Brock Lesnar at SummerSlam. It was a short and succinct promo from Heyman, as he attempted to perform somewhat of a U-turn, asking Punk to end this family feud and offered him a place back in his stable. Of course, this being Paul Heyman, the place came at a price, and that price would be an apology from Punk for his actions against his former best friend. Heyman is still the undisputed king at this kind of promo in WWE, as it looked like he truly believed in what he was saying, even if the WWE fans didn't buy a single word of what he was saying regarding Punk. With Punk being teased to give his answer to Heyman, it was clear that something was about to blow up. With Punk in the ring, you could tell he was ready to unleash another outstanding promo, he looked incredibly psyched up heading out. This all came to a head at the start of his promo, when Punk turned to a member of the audience that was booing him. In what felt like a flashback to Punk's days in the IWA, Punk berated the fan in a foul mouth tirade, that whilst Punk probably got a ticking off for backstage, really helped to show the emotion that the Punk character was feeling, and sold how much the loss to Brock Lesnar had meant to him. With Punk teasing that if Heyman came out to face him, he might apologise, out came Heyman, alongside Intercontinental Champion Curtis Axel. Punk's apology came in the form of being sorry for not doing a number of things to Heyman in the ring, including Punk taking Heyman's arm home. I don't think anyone in WWE can pull off a passionate promo as well as CM Punk, everything about him looks like he is fully believing in what he is saying and that this is how he truly feels about Heyman. With Punk challenging Heyman to a fight, Heyman instead sent Curtis Axel down the ring for a fight, delivering a promo in the style of an old fashioned school teacher, telling off his student. Once the fight got started, and this was a fight, not a wrestling match, Punk began dismantling Axel with a number of weapons, including the steel chair and the ring bell. It looked like Punk was going to dispatch of Punk in fairly easy fashion, as he went for the GTS, only for Axel to slip free and attack Punk's injured knee. When in control of the bout Axel looked good, picking apart Punk's leg before wrapping it in a steel chair and heading for the top rope. Of course, Punk escaped to deliver another beating to Axel this time on one leg, finishing him off with a GTS onto the steel ring steps. This brawl wasn't on par with the ones Punk had with Lesnar, but it was still an enjoyable watch, with Punk's struggle on one leg showing his desire to exact his revenge on Heyman even more. Axel's period of control, allowed him to not lose out to much in this battle, although it is obvious he is simply becoming a device to keep Punk away from Heyman, rather than WWE having any real plans for him going forward. Now, I'm still not quite sure how this story is going to move forward now. I've suggested in the past that a handicap match with Punk facing Heyman and Axel could be a interesting concept especially if Axel's Intercontinental Championship is on the line. However, after pay-per-view matches with Brock Lesnar, Chris Jericho, The Undertaker and The Rock over the last six months, it would definitely feel like a bit of a comedown for Punk. It could work, but would have to be booked incredibly well for it not to end up getting lost in the shuffle at Night of Champions. Punk certainly needs a good couple of wins in the next few pay-per-views to build himself up again, and I could see this Heyman and Punk story running for a few more months yet, with a possible conclusion at Survivor Series in November, of course in a Traditional Survivor Series match seeming like a very fitting way to end this family feud. Raw kicked off this week, with John Cena coming out to discuss his match with Daniel Bryan at SummerSlam. And after that show Cena was probably the last person most people expected to start the show. Now despite being confused about whether he is from Massachusetts or the deep south, Cena delivered a strong promo, putting over Daniel Bryan strong. Now whilst certain sections of the wrestling communinity do not respect John Cena, there is no denying that Cena is still WWE's top star, and has a loyal fanbase, therefore putting over Bryan so strongly is a very big thing for Bryan, especially after going over clean at SummerSlam. Cena also did a good job of running down the actions of Triple H and Randy Orton, saying how disgusted he was at their actions. Cena went onto to announce that he would be leaving the WWE to have surgery on a torn bicep, and would be out for at least four months. Cena said that the injury wasn't an excuse for him losing, which is probably why WWE went for a pinfall finish rather than Bryan taking advantage of Cena's injured elbow. Cena certainly seemed like he didn't want to leave for four minutes, let alone four months, and it was this serious tone that really helped me feel sorry for Cena here, for the first time in a long time. We're used to seeing the smiling goofy Cena, but when he goes serious, albeit because of a very real situation, he is one of the best on that microphone and certainly deserves more praise for the work he does. With Cena bringing out Daniel Bryan before exiting the ring, it certainly felt like change was a foot in the WWE. For the last year and half, we've been faced with the “Worst Year of Cena's Life” storyline, that developed into Cena's subsequent redemption at WrestleMania, and then unfortunately fizzled out with disapointing feuds with Ryback and Mark Henry. We now seem to be entering a new chapter in WWE, and Cena stepping away from the screen for a while will certainly help this begin to develop. Daniel Bryan seems to be being position as the top face of the show for the time being at least, opposite Randy Orton and the McMahon family and it's difficult to have seen this being allowed to play out, with Cena still around. After succesfully defending his World Heavyweight Championship against Christian at SummerSlam, Alberto Del Rio didn't waste anytime getting straight back into action as he faced of against Sin Cara. The match didn't last very long, with Sin Cara performing a Suicide Dive to the outside and pulling up with somekind of wrist injury, with the doctors considering unable to fight. Seriously, is this guy made of china? He's suffered so many injuries since signing for WWE, and had a number of high profile botches that it's getting a ridiculous. WWE clearly has no plans for him going forward, other than feeding him to whoever they feel needs a win that week, before most likely letting him go once his contract runs out. The argument that Sin Cara has been put up against wrestlers who don't know his style is now out of the window, as Del Rio spent his early career in Mexico and definitely knows how Sin Cara wrestles. After Del Rio stood around for a bit looking confused, he grabbed a microphone and cut a nice promo on how he was going to become a hero for all the latinos, similar to one he cut after his SummerSlam victory. With former Personal Ring Announcer Ricardo Rodriguez interupting him to inform the World Heavyweight Champion that Rodriguez had a new client. Everyone expected it to be Rey Mysterio, after Mysterio made several appearances around SummerSlam weekend, as well as stating he should be ready to go around this time. However, WWE through a curve ball, and Rodriguez' new client turned out to Rob Van Dam. With Van Dam taking the action to Del Rio, about to hit a Five Star Frogsplash, Del Rio escaped the ring and lived to fight another. I'm seriously intrigued by the Van Dam and Rodriguez partnership, as I can't really see how it's going to work, but a title shot for Van Dam, in what should be another solid outing for Del Rio at Night of Champions is something I am definitely interested in. Big Show was also in action this week, after Raw General Manager Brad Maddox ordered him into a One On Three Handicap Match with The Shield. This was due to Big Show negative remarks about Triple H's actions at SummerSlam on WWE.com. It was a good way to get the new regime over, as well as cementing Big Show's face turn, that hadn't really been explained since his return on the previous week's show. The Shield had already been shown as an ally of The New Corporation (or whatever they choose to call it), after having another Handicap match against Dolph Ziggler earlier in the night (more on that later) however the rules of this one were adapted to allow all Shield members to be in the ring at the same time. This change not only allowed Big Show to look even more powerful and allow The Shield to use their numbers advantage without having to result to a disqualification finish. Of course, Big Show, now sporting an bright purple singlet, dominated the early going using his power to fight of Ambrose, Rollins and Reigns one by one. But once Ambrose and Rollins got there act together and began with a number of quick strikes that took the World's Largest Athlete to the floor, the tables quickly changed. Show got a quick comeback, but a Spear from Reigns quickly put an end to that, with The Shield picking up a victory after a treble powerbomb. In terms of handicap match this was a very good match, telling a good story and keeping my attention throughout. It was cleverly kept short because that was all that the story needed, any long and it would have become tedious and unbelievable. As mentioned earlier, The Shield had another bout on the card, as they faced off against Dolph Ziggler, who was once again being punished by Brad Maddox for comments made about Triple H. In a completely different bout from the one from the Big Show match, with The Shield having to work tags, Ziggler used his quickness and cunning to stay in the match. However the numbers game was too much for Ziggler also, as after numerous comebacks and nearfalls, Roman Reigns managed to hit another spear on Ziggler, which was visually impressive to pick up the pinfall victory for The Shield. Zigger's selling really helped this match, making it easier to empathise with the character as he was clearly giving his all against these three. The bout will do wonders for Ziggler's face run, which seemed to be faltering. Cody Rhodes was also in action on Raw, as he faced off against World Heavyweight Championship Money in the Bank Winner Damien Sandow in a SummerSlam rematch. At first it seemed like we were going to get another piece of classic WWE even steven booking, with Sandow picking up the victory. However, that was not to be the case, after another strong contest between the two, with a number of reversals of momentum, fought at a fast pace towards the end, saw Rhodes pick up the pinfall victory after a well worked sunset flip varation out of the corner. After two victories in a row of Sandow, in two technically sound matches, I can only assume that Sandow will challenge Rhodes one more time, this time putting the Money in the Bank briefcase on the line. It would be nice to see these two get some more time for their matches, as their work on this story and the matches involved in it, have been great and hopefully it hasn't gone unnoticed by WWE. Bray Wyatt made his Raw in-ring debut this week, facing off agaisnt R-Truth. Wyatt made short work of Truth in an entertaining squash match. Truth did get some offence in, using his speed against Wyatt, but was quickly stopped by a thunderous cross body. 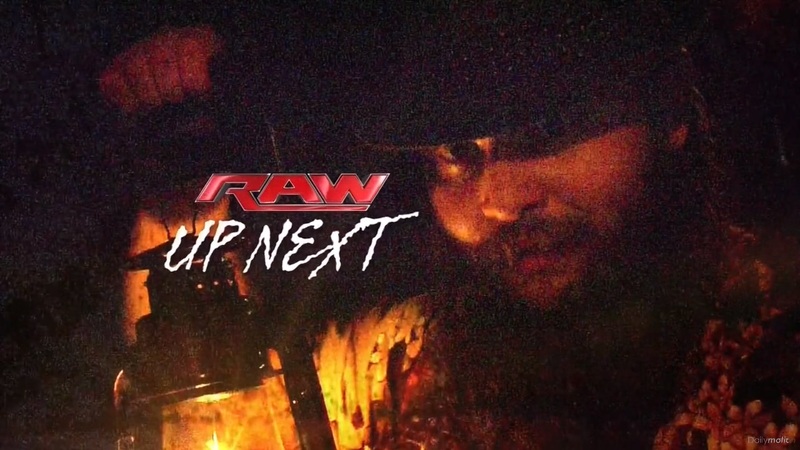 Wyatt went on to pick up a pinfall victory with Sister Abigail, with even extra theatrics than usual. Whilst a win over R-Truth doesn't particularly mean anything in today's WWE world, and this bout did very little for Wyatt, it at least gave him a clean victory over his opponent which was needed after Luke Harper and Erick Rowan got involved in his match with Kane at SummerSlam. Wyatt is going to need a few more of these to allow him to look a threat as a singles competitor in his own right. There was also women's action in the form of a tag team match with The Funkadactyls taking on Diva's Champion AJ Lee and Layla. After The Bella Twins had bizarrely called The Funkadactyls unentertaining on Total Divas (shouldn't they be promoting the whole show, rather than calling half of it boring?) the Bellas told the Funkadactyls they had to win as they were representing the show. Despite what apparently believe, AJ Lee continues to be the star of the Women's division in WWE, with some superb heel antics in winding up the Funkadactyls, coupled with some excellent selling really bringing a pretty drab match to life. Unfortunately, for this one a botched ending with Cameron getting a roll up on Layla, whose shoulders were clearly up before three, through away the good work done by AJ earlier in the bout. Layla's ridiculous antics afterwards also didn't help, the reaction was just too over the top to feel anything about. The Miz was also in action, fresh off of hosting SummerSlam, against Preston's Wade Barrett. It would seem that Barrett's work with the McMahon's has gone unnoticed, as Barrett was made to look fairly weak in this one. After getting some early offence in, Barrett quickly saw The Miz's attack head to his legs setting up for the Figure Four Leg Lock, it would've been good psychology if the bout had been another five minutes longer. However, with The Miz locking in the Figure Four Leg Lock and with Barrett on the brink of tapping, Fandango made the save hitting a top rope leg drop before dancing away. I don't think The Miz is the best person to put Fandango into a rivalry with, mainly because The Miz's poor face character won't help to develop Fandango as a heel. It feels weird that WWE had been building to a three way between Fandango, Miz and Barrett heading into Payback, but now Barrett seemed simply seemed to be an afterthought. Bully Ryback was also causing havoc backstage once again, in one of the most uncomfortable viewing experiences of the PG era. Ryback forced a rookie into a shower area, making him open his gym bag before beating him to a pulp in the corner. I'm not sure why WWE decided for the shower scene, which would have fitted in a gritty prison drama, but just felt awkward and out of place here. Which surprisingly nothing to do with Ryback who has really got to grips with his character as of late, I'm just not sure what WWE is planning to do with as we head towards Night of Champions. There was also a rematch of a tag team bout from Main Event, with The Usos facing off against 3MB, (with Drew McIntyre replaced by Jinder Mahal) It was another entertaining tag team battle, if not a little short. It was kept pacy for the majority of the match, showcasing The Usos as a team well, whilst 3MB used their number advantage to try to keep the upperhand. The ending saw a scramble between Uso and Slater and McIntyre on the outside of the ring, with Uso getting the upperhand sending Slater into McIntyre, before hitting a Superkick on Mahal. Then came something special, with the Usos really hitting their stride as a team, one Uso charged over the top rope on Slater and McIntyre and in the process the other managed to tag himself in and hit a Superfly Splash to get his team the victory. The Usos continue to show that they are one of the best tag teams at the moment, constantly putting on good match, and it can only be a matter of time before they pick up another title shot. As the WWE's tag team division continues to improve The Prime Time Players were in action against The Real Americans. After a more of the same promo from Zeb Colter, the bout got underway, with The Prime Time Players apparently now a face tag team. This can only be due to Darren Young coming out as gay, which seems a bit of a poor move by WWE. Young's personal life choice shouldn't play a part in his on screen persona, if the team had been gradually changed face their would be no problem here, but to change them with no on screen explanation seems a bit forced from WWE. The action was actually a good tag team outing, with Jack Swagger and Antonio Cesaro working over Titus O'Neil, building up to a hot tag to Young, who was doing a good job working the corner and building up the crowd anticipation. Once Darren was in the ring he looked a million dollars (pardon the pun) with a great exchange with Cesaro, and with O'Neil and Swagger taken out of the equation, Young got a win for the Prime Time Players after Gut Check. After the week Darren Young has had I won't take this moment away from him, because he does deserve it. Elsewhere in the show, Zack Ryder and Justin Gabriel took part in a commercial for a popular sports shop (I'm not going to mention them unless they're paying me as well) with a bloke offering Ryder and Gabriel tickets to a pay-per-view, which was pretty amusing. Fandango then turned up with Summer Rae and had an exchange about sneakers (he definitely meant trainers). It was a completely mind boggling segment, and didn't really make me want to buy shoes. It just got me thinking about how many Raw appearances Zack Ryder and Justin Gabriel are going to have this year. Whilst WWE was putting on two solid tag team contests, as they seem to be building a number of tag teams at the moment, it would seem another will be on the scene soon. A vignette aired for a team named Los Matadores, which is infact a repackaged Epico and Primo. I guess Rosa Mendes isn't ready to come back after her expulsion from the European tour in April. The gimmick is basically a combination of Tito Santana and Los Conquistadores, who knows if it will take off. Epico and Primo are talented enough in the ring, to possibly be able to pull it off if it is done correctly, but personally I can't really see where the team will fit into the division. 1. The McMahon's and Randy Orton vs. Daniel Bryan could have another legs to ignite Raw for months to come. 2. CM Punk vs. Paul Heyman is far from over, but I have no clue where they are going to go with it. 3. John Cena's possible six months on the sideline, could do wonders for WWE and Cena himself, allowing each a chance to freshen up their act.